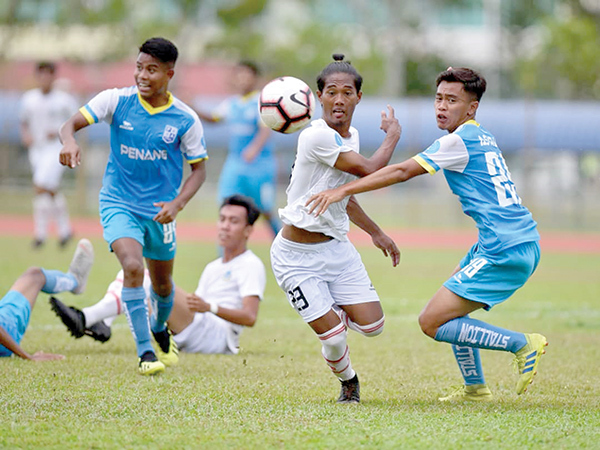 KOTA KINABALU: The Sabah Under-19 squad produced their best attacking play yet to thrash Penang 7-1 in the Group B Youth Cup tie at Penampang Stadium on Sunday afternoon. The team, who were the group whipping boys before the match with 21 goals conceded and only six goals scored from eight matches played, finally came good with Sharizan Saidin opening the scoring in the 27th minute followed by Ahmad Irwanto Rusli’s strike in the 40th minute to take a 2-0 lead at half time. 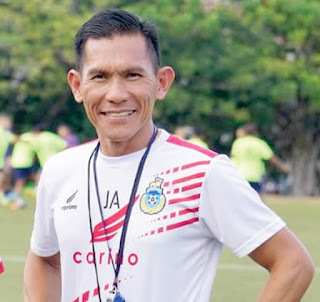 The visitors, who had thrashed Perak 4-1 in the previous game, found themselves in the receiving end as Billyton Vun’s boys scored almost at will in the second half. Hizaz Lokman extended the team’s lead in the 52nd minute but it was immediately cancelled out by Daniel Irfan Mohd Nadzri three minutes later. However, within two minutes Hizaz struck again to regain the three-goal advantage before Rozacklye Yanam made it 5-1 in the 61st minute. Nasip Mohd Zain then added another two in the 64th and 72nd minutes to register Sabah biggest win in the competition to date. Coach Billyton, who saw his team struggle to score goals since the start of the season, was overjoyed with the boys. “I am very happy with the team today. This week we worked a lot on the team’s speed endurance and also drilled on their transition from defending to attacking. KOTA KINABALU: Sabah head coach Jelius Ating (pic) said all the hard work has paid off for Sabah Tambadaus as they comfortably beat UKM 3-1 in the final match of the first round Premier League tie at Likas Stadium on Saturday. He praised the players for their efforts put in training that they were able to reproduce in the match against UKM. “The players have been training very hard in every training session and they proved that hard work do pay off as the result clearly showed. “The performance from the players in the match was very good as it was not an easy game for the team. I am very happy with the win because UKM are a very good team. “They managed to draw level after we had taken a one-goal lead and under normal circumstances, the confidence of the players may have crumbled as a result, but as I said earlier, the hard work put in by the players indicated that they had the belief and it was the main factor that we won the match tonight,” he said after the match on Saturday.